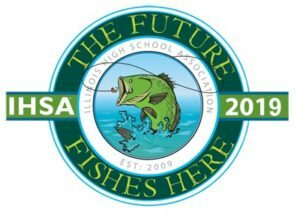 Illinois High Schools’ top anglers will be heading to Carlyle Lake for the 2019 IHSA Bass Fishing State Tournament the weekend of May 17-18. A total of 311 teams have signed up to compete this year. Sectionals will be held on May 2, and a maximum of three boats from each of the 22 sectionals will travel to Clinton County for the fishing finals, hosted by the City of Carlyle. Safety checks for boats will take place on Thursday morning, May 16, with tourney fishing beginning bright and early the next morning. Whether you’re cheering on a local favorite, are a fellow angler or just a curious onlooker, it’s always an enjoyable two-day event. Following are the details. 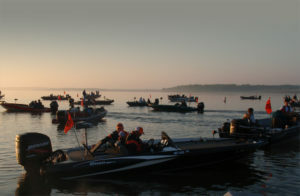 The IHSA Bass Fishing State Tournament highlights the fact that Carlyle Lake is not only the largest manmade lake in Illinois, but also one of the top fishing lakes in the state. Just one more great reason to plan a visit to Clinton County this summer! Images courtesy of Carlyle Lake Chamber of Commerce. This entry was posted in Attractions, Events, Fishing, Outdoor activities, Sports and tagged Carlyle Lake, Clinton County, Clinton County attractions, Clinton County event, Clinton County tourism, Fishing, lake activity, outdoor activity by admin. Bookmark the permalink.